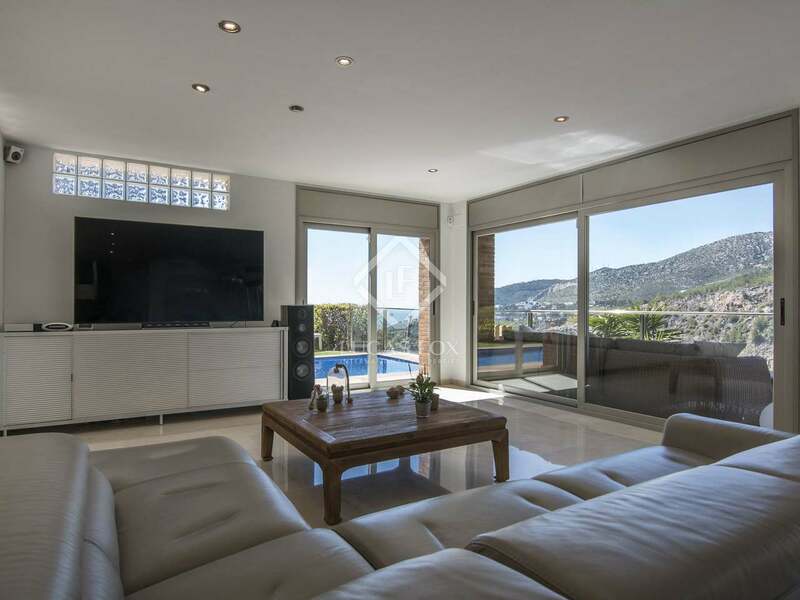 Large contemporary style villa with sea and mountain views for sale on a double plot with a swimming pool in Botigues de Sitges. 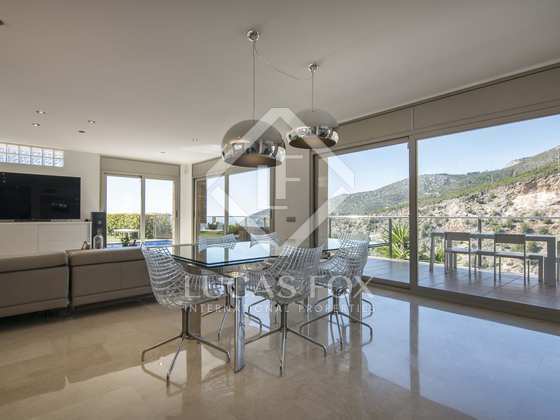 On a generous double plot of 1,630 m² in the Botigues de Sitges residential area in the hills overlooking the beach, we find this modern detached villa of 459 m² for sale. 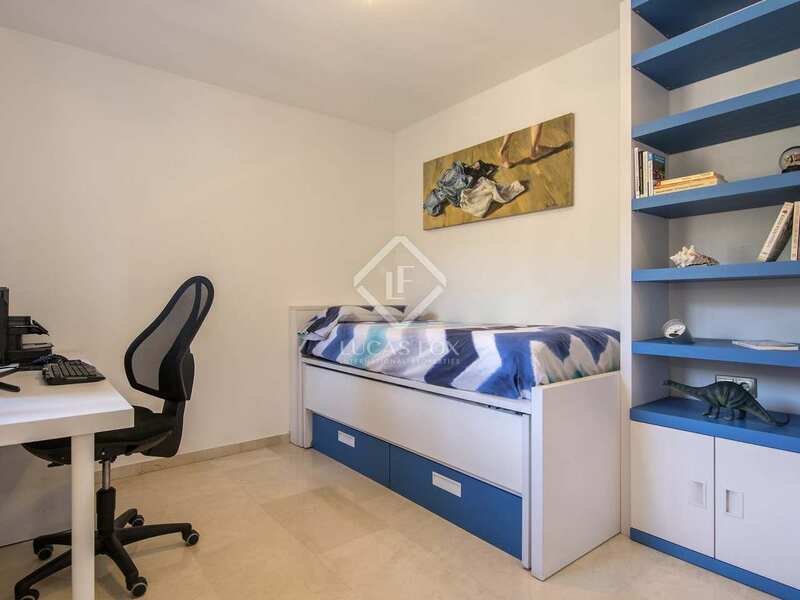 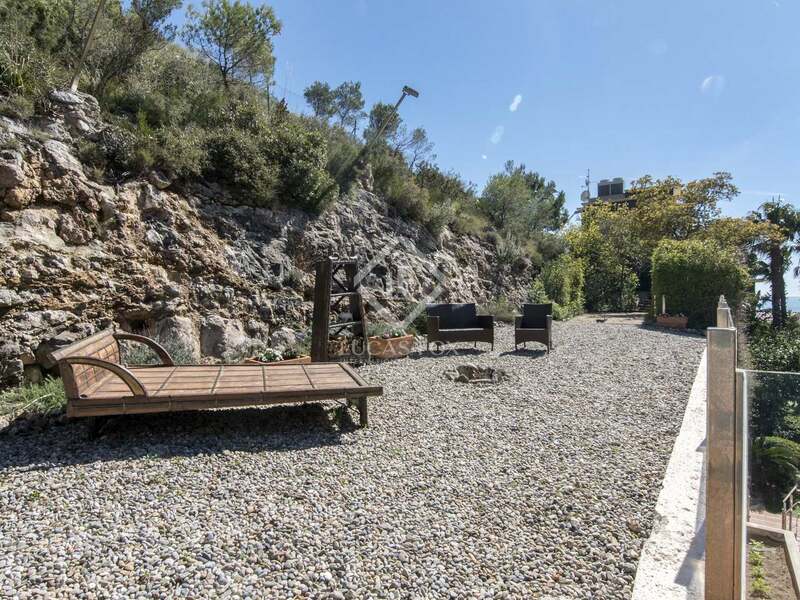 Just 15 minutes from Barcelona and the airport, this property provides easy access to and from the city, several international schools and the beautiful beach and town of Sitges. 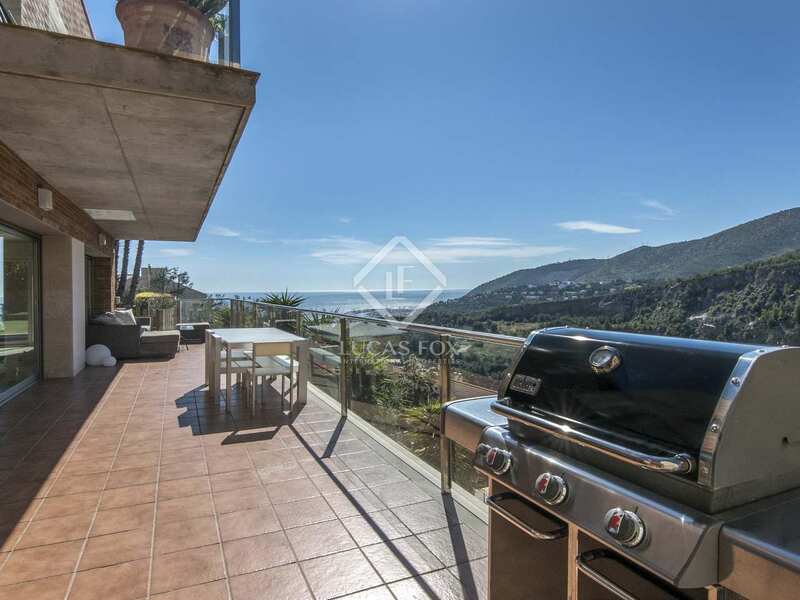 Built in 2003 with high quality materials, the villa boasts no less than 7 bedrooms and 5 bathrooms as well as spacious living areas with stunning sea and mountain views. 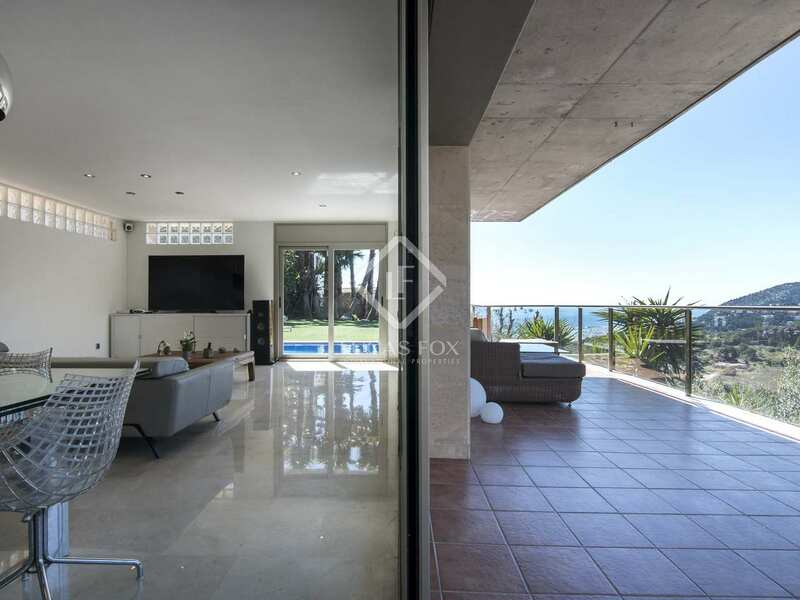 Outside we find a garden area with a lawn, swimming pool and palm trees, as well as several terraces at different levels. 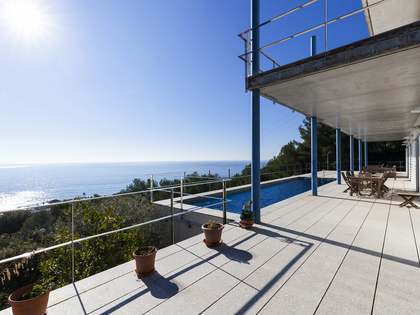 As this is a double plot, it would be possible to divide the land and build another house if desired. 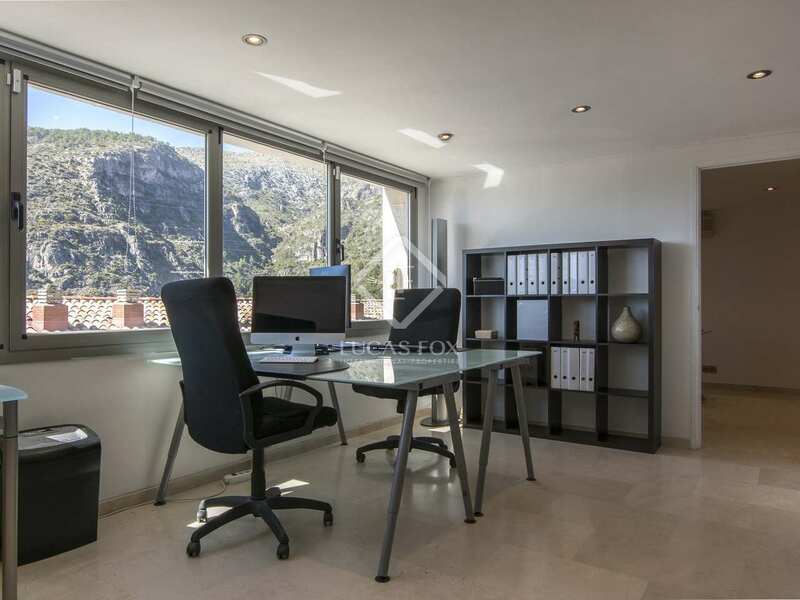 On street level we find the garage for 2 cars, a storage room and above it is a completely independent apartment currently being used as a large office, a meeting room, a fully equipped kitchen, a bathroom and a terrace of 80 m² next to a garden area. 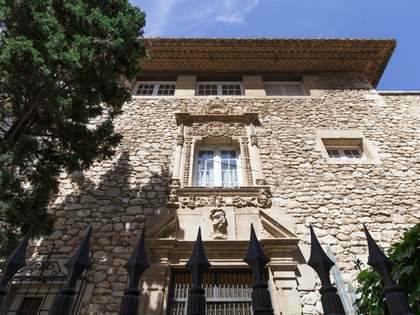 The main house is divided into 4 half floors which are connected both by stairs and a lift. 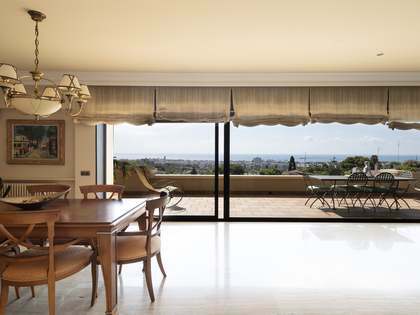 Upon entering, a designer kitchen open to the living room of 120 m² provides access to the pool and garden and a large terrace with sea views. 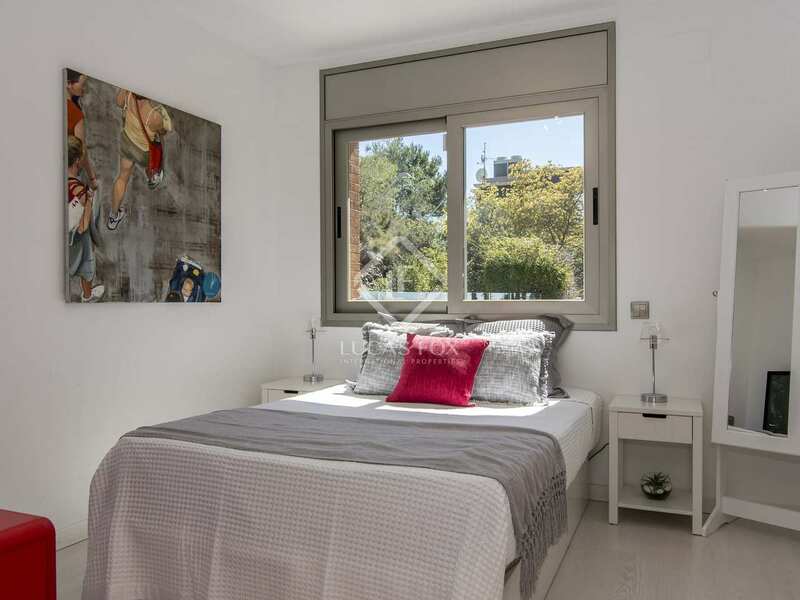 The next level offers 2 small double rooms with a shared bathroom; one of them with terrace of 30 m². 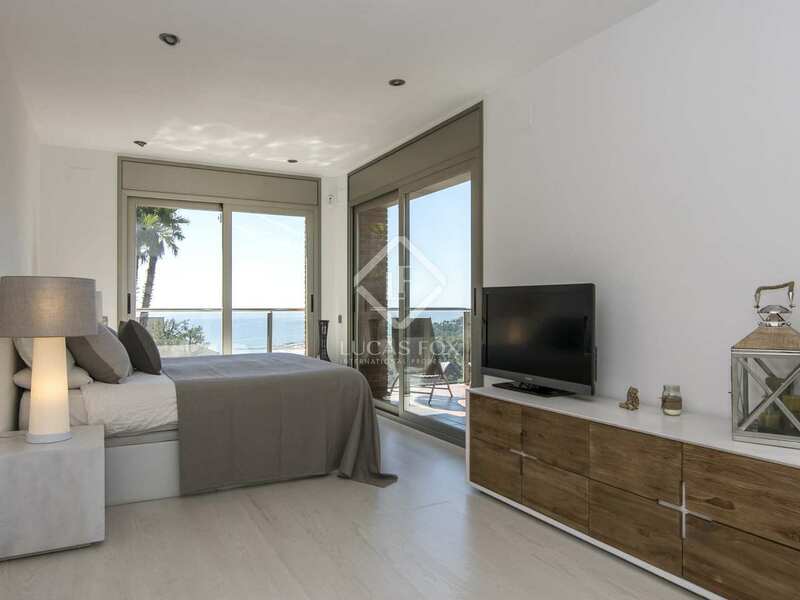 The third half level offers the main suite, consisting of a bedroom with a private terrace of 50 m² and a bathroom with a shower and jacuzzi. 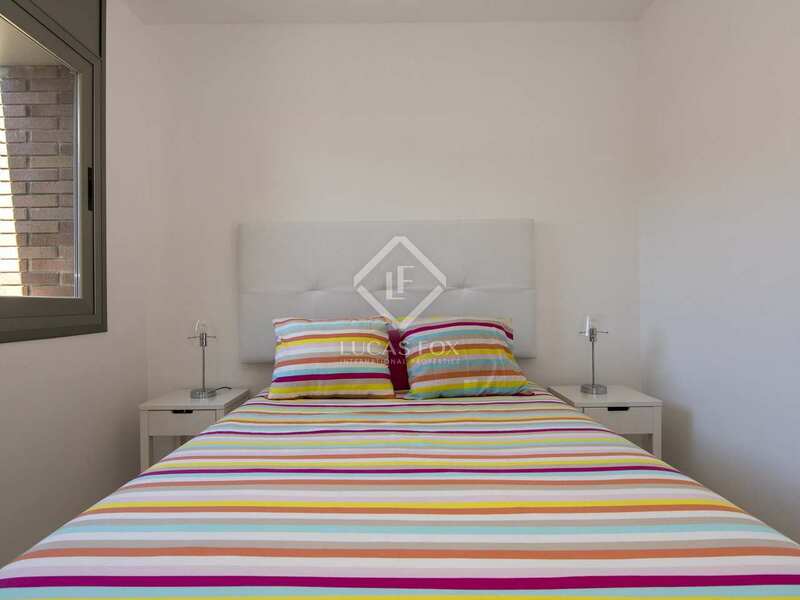 All of them with great views of the sea, There is also a double room with own bathroom. 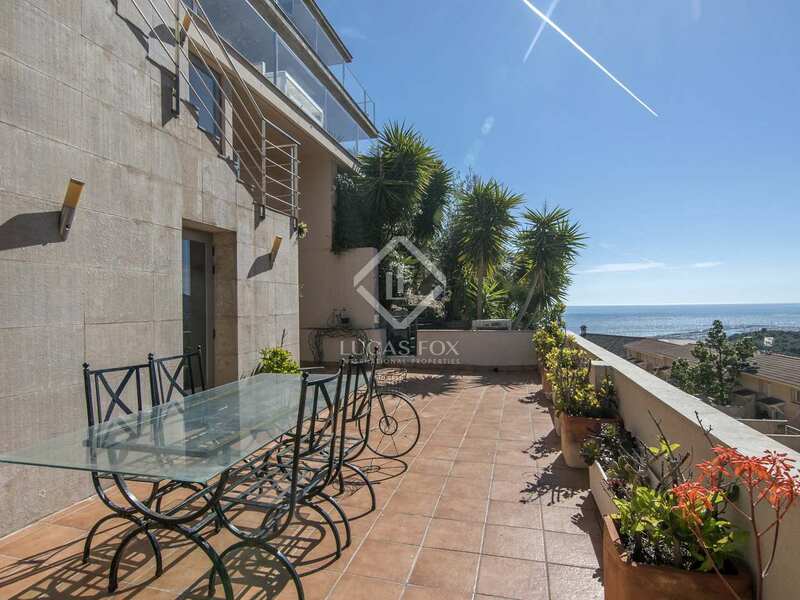 Finally, at the top of the villa are 2 small double bedrooms with a shared bathroom, both with access to the terrace of 373 m². 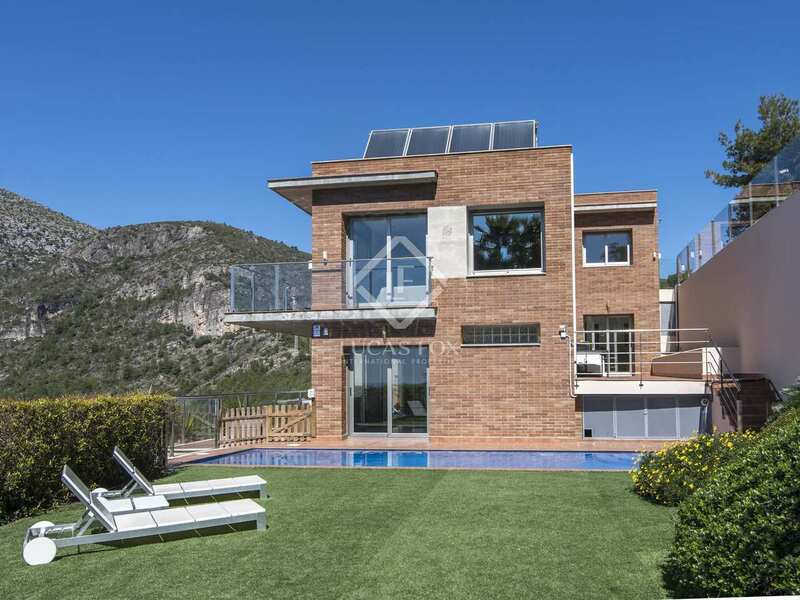 Solar panels, underfloor heating, a video entry phone and air conditioning are just some of the additional features of this contemporary family home. 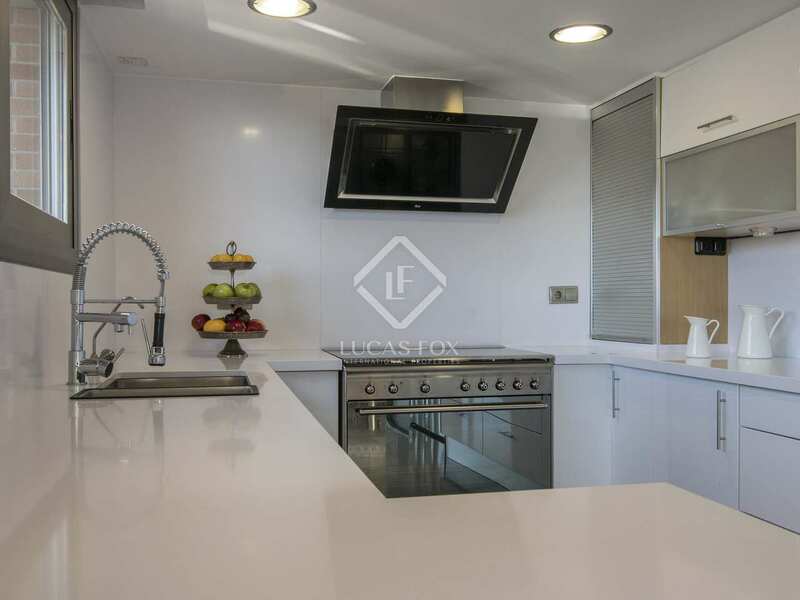 What's more, the buyer will have the option to acquire some of the furniture if they wish. 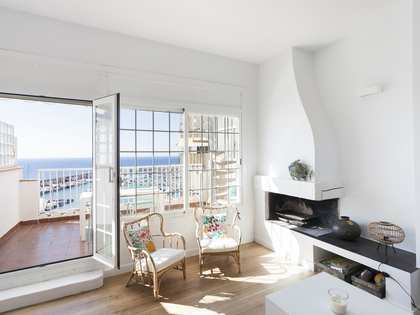 Properties in this area are in high demand due to the proximity of international schools and easy access to Barcelona. 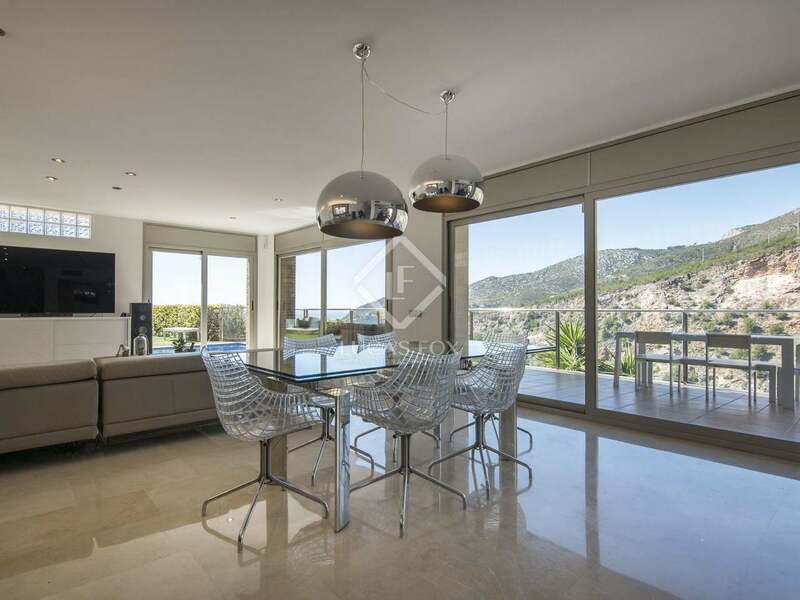 A spacious, modern villa in Botigues de Sitges with sea and mountain views and high-end finishes throughout. 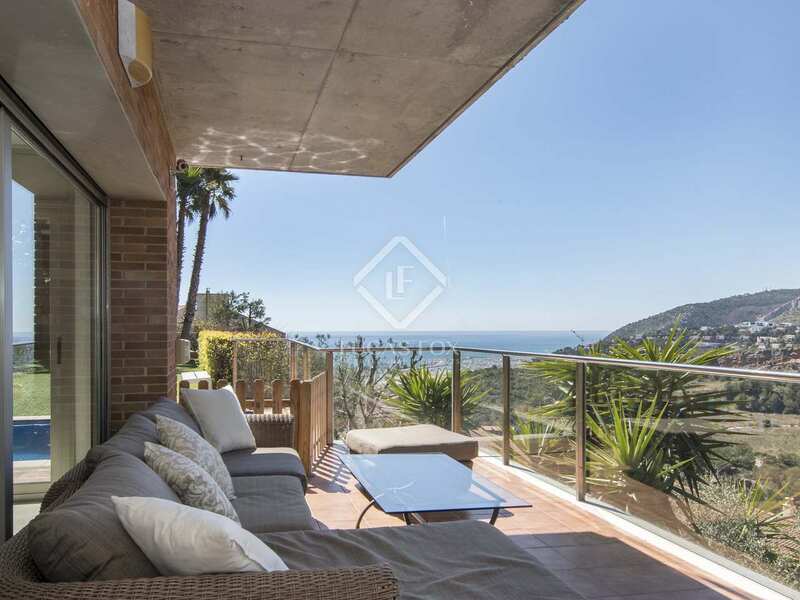 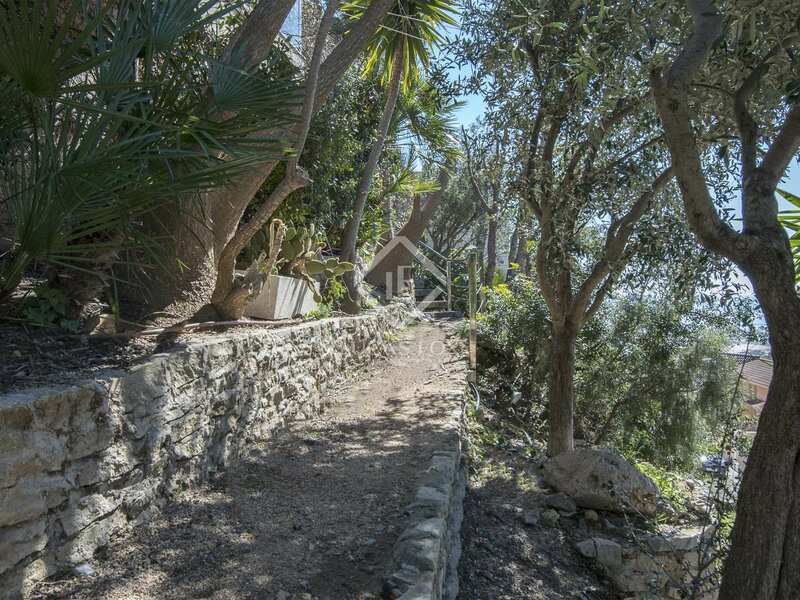 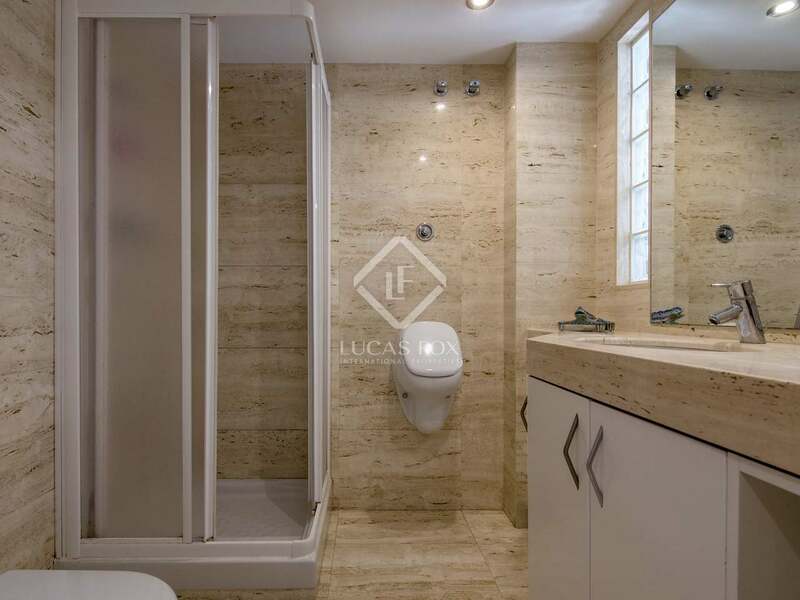 This property is located in the Botigues de Sitges residential area. 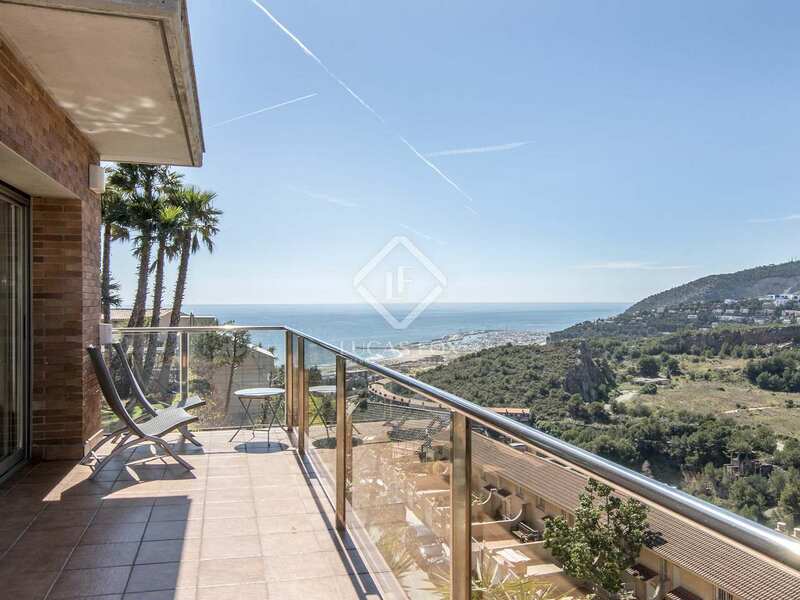 It is in the hills overlooking the beach but close to the amenities and train station of Castelldefels and just 15 minutes from Barcelona and from the airport. 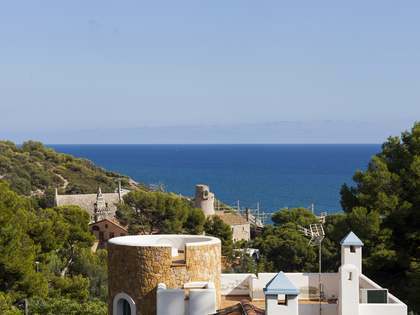 The popular coastal town of Sitges is just a 10 minute drive down the coast.